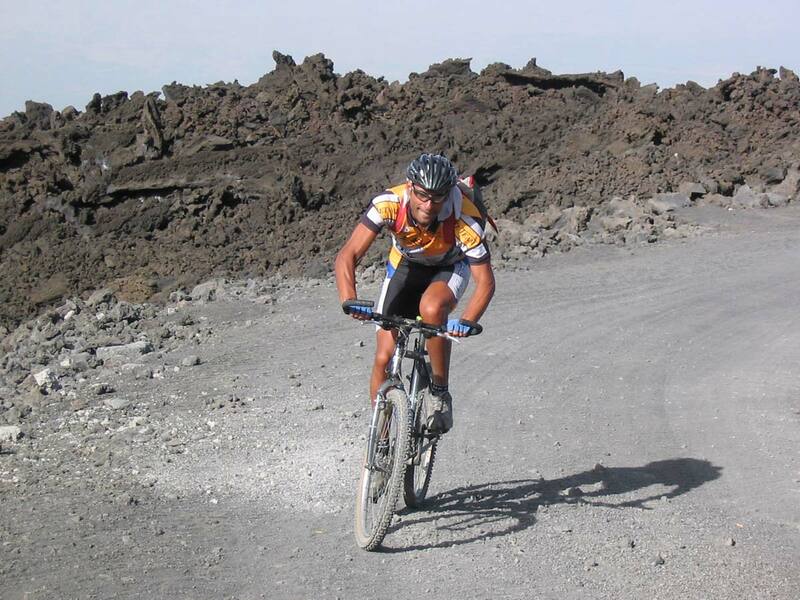 Mount Etna is ideal for riding both on MTB trails and on asphalt roads. What makes this volcano one of the most fascinating cycling ascents in the world is the possibility to start from the mountainside near the coast and go up to 2000 metres on asphalt roads or up to 3000 metres on MTB trails. Its several tracks make it one of the most sought after destinations for amateur and professional cyclists alike. There are six routes that start from the mountainside and go all the way up to the two ski resorts, one on the south side and the other on the north side of the volcano. At lower altitudes there is a network of roads with a low traffic density that allows you to go riding all around the volcano. MTB lovers will have the chance to experience the volcano at its best with the Altomontana (high altitude) trail. That is a 37 km trail that takes you from the south side to the north side of Etna at an average altitude of 1600 metres. It goes through woods, ancient and new lava flows and passes by several caves. There is a wide selection of guided excursions to choose from and, for the ones who don’t have their own bike, it is possible to rent one. Guests who wish to take a Bikin’Sicily excursion will receive a 10% discount on the excursion price and the bicycle rental if needed. The Hotel Corsaro registered guests will obtain their “Hotel Corsaro Special Guests” card at the check in.